Check out this video, keep reading to hear about our part in this amazing project, and make a donation at the link above! The Sacred Forest is a Discipleship Camp, Rainforest Preserve, and Coffee Farm, all-in-one. It's a 150 acre wonder of God's creation on the side of a mountain just north of Matagalpa, Nicaragua. 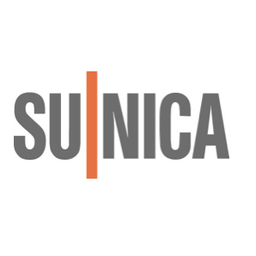 SuNica has big plans that will both enhance the property as well as preserve it long term. And we're doing our part to make those plans a reality. We're raising money to send 20 Discipleship Kids to camp for a week! In the forest they'll grow in confidence, learn about God's creation, and experience solitude in nature for prayer and reflection. Thank you for considering supporting our efforts this Christmas by making a donation at the link above. Ours is a small part of a much bigger project, but together we can do big things! SuNica is an organization dedicated to making Disciples of Jesus through clean water, education, and mentorship. Its founders have been working in Nicaragua for over ten years. They are a registered 501(c)(3) non-profit in the USA and have NGO status in Nicaragua. They’re led by Alan Wilser in the US, and Josh and Betty Pease in Nicaragua, with a staff of over 25 (mostly Nicaraguans) and a stateside Board of Directors. Every contribution helps enhance Discipleship in the Sacred Forest and improve the long term sustainability of both the forest and SuNica's mission. Join us today by making a donation!